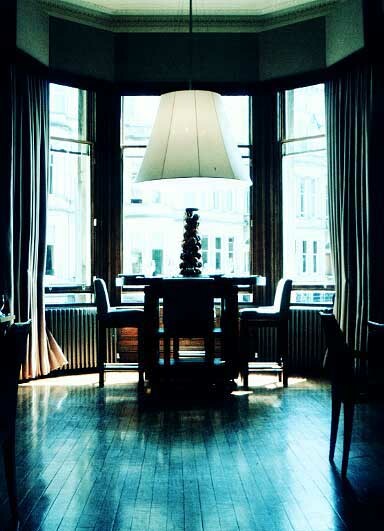 We’ve selected what we feel are the key examples of Edinburgh Interiors, Lothian. 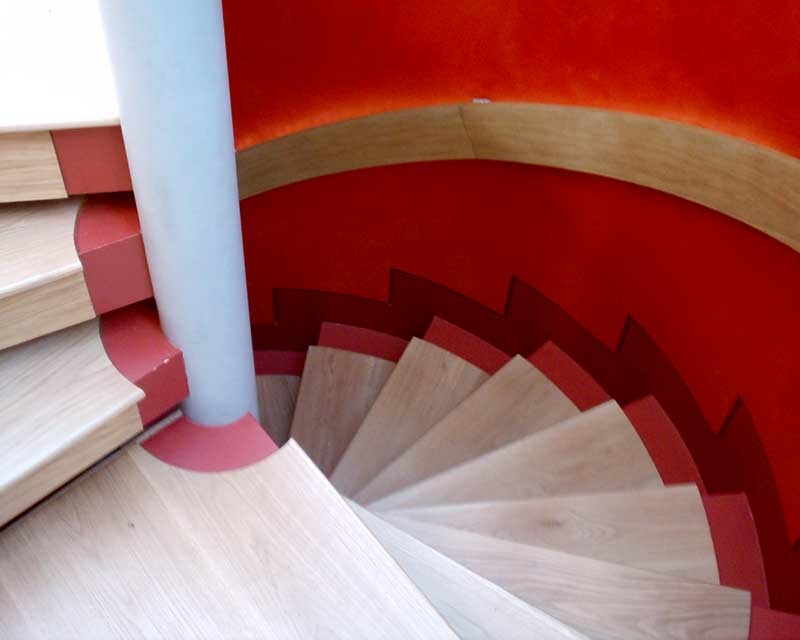 We aim to include Interior Design projects that are either of top quality or interesting, or ideally both. We cover completed Edinburgh Interior Designs, new building designs and architectural contests across Lothian. The focus is on contemporary building interiors but information on traditional buildings is also welcome. 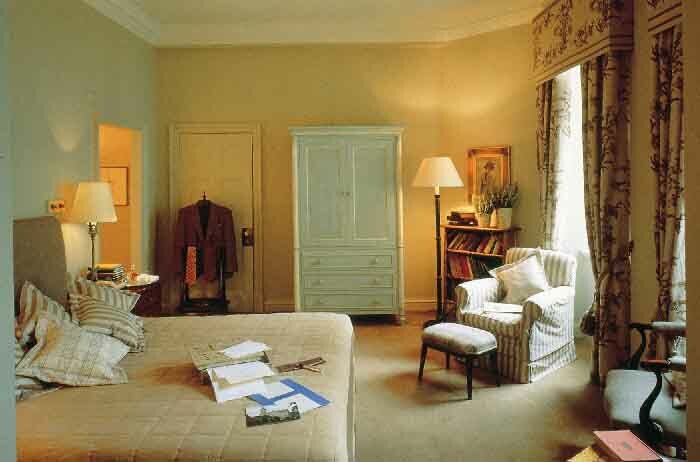 We have 1 page of Edinburgh Interior Designs selections. A really successful interior in my view, the warmth of the wood, the unusual section, the graceful tree columns and the rhtyhm of the internal walls and soffit all make a strong interior. This new chapel is situated in the garden of one of the original townhouses on the west side of George Square and replaces the previous chapel which was located on the upper floor of one of the adjoining properties. 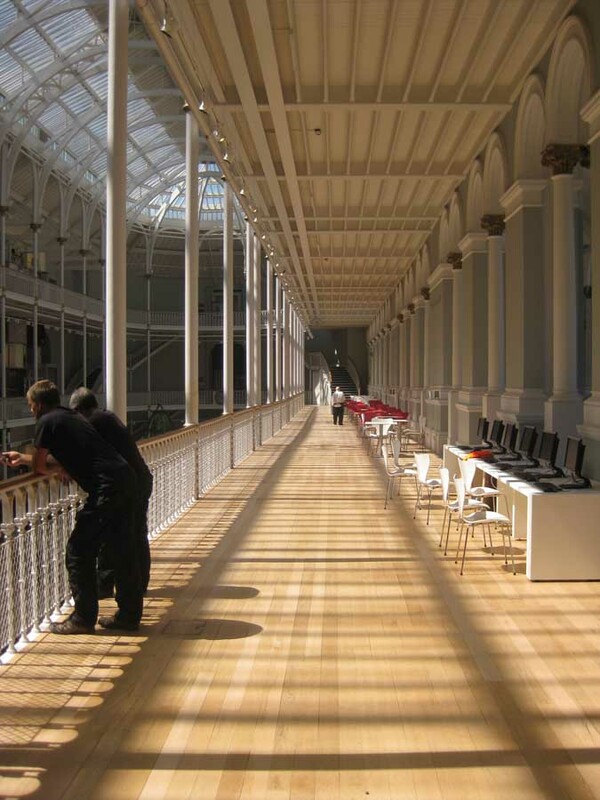 Bennetts Associates’ Edinburgh studio commissioned to undertake a feasibility study for Grade B listed Edinburgh Central Library. 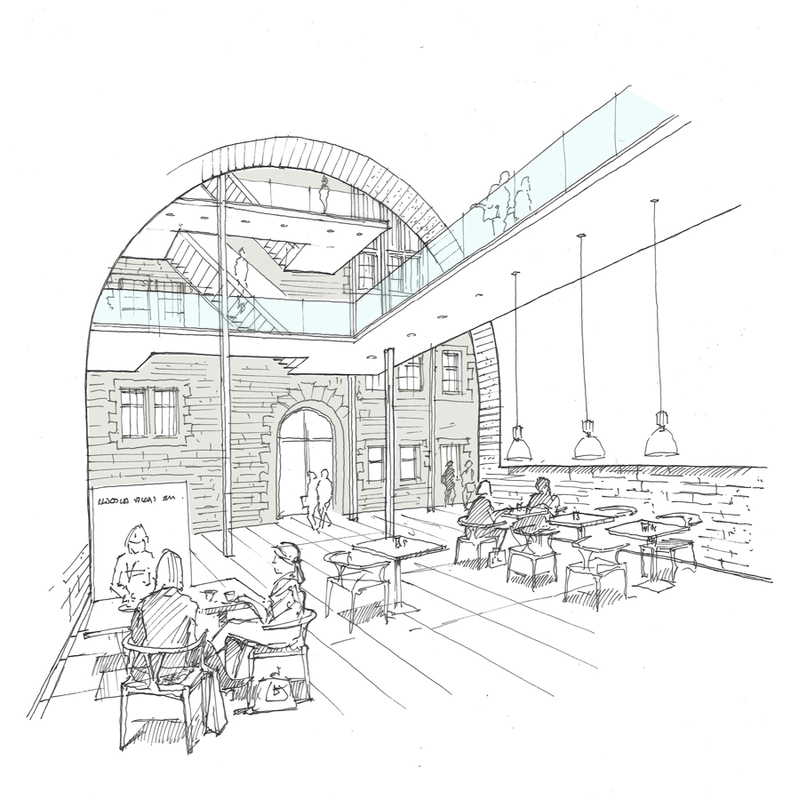 The architects are drawing up a strategy for a major refurbishment which will reconfigure the existing facilities to improve accessibility and provide Edinburgh with a modern library that retains the best of its historic fabric. Early ideas include looking at the potential for a new cultural hub in The Vaults below George IV Bridge and a rooftop restaurant. 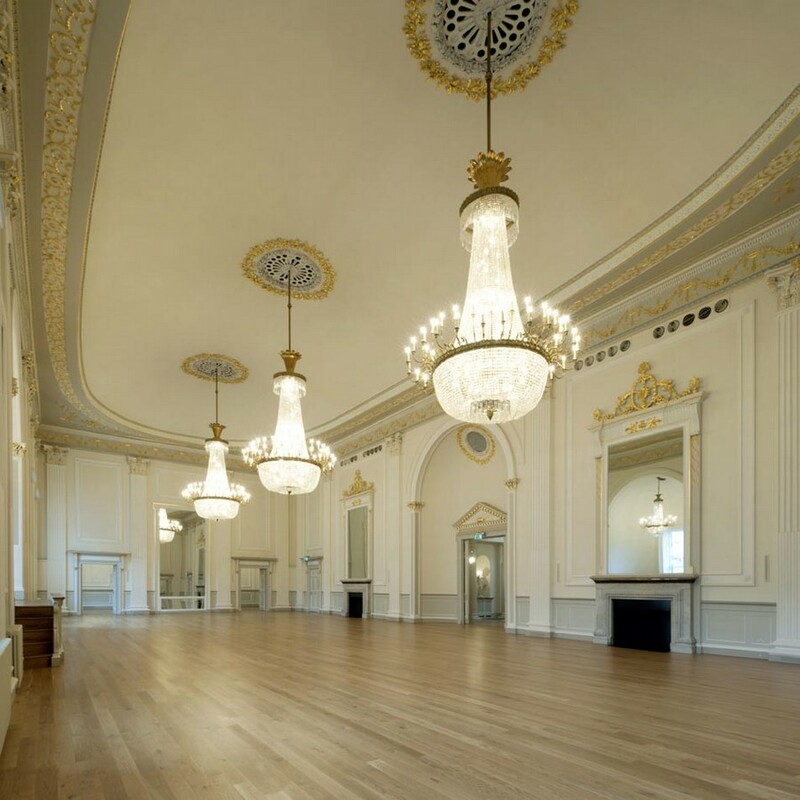 The Category A Listed Assembly Rooms, opened in 1787, is a much-loved multi-purpose venue situated at the heart of Edinburgh’s World Heritage Site and a focal point of the annual international Fringe Festival. It has been enjoyed by many generations of citizens but its fabric and infrastructure were failing and its facilities no longer met modern needs and expectations. The ‘big moves’ of opening up new street level entrances, excavating the previous basement store as new gallery spaces and the ingenuity of the building’s new circulation which draws visitors up and through its superbly restored spaces. The transformation project is the centrepiece of an ambitious £70 million Masterplan launched in 2004 to redevelop the museum complex. Further phased development will deliver 11 more galleries and complete the overall vision by 2020. 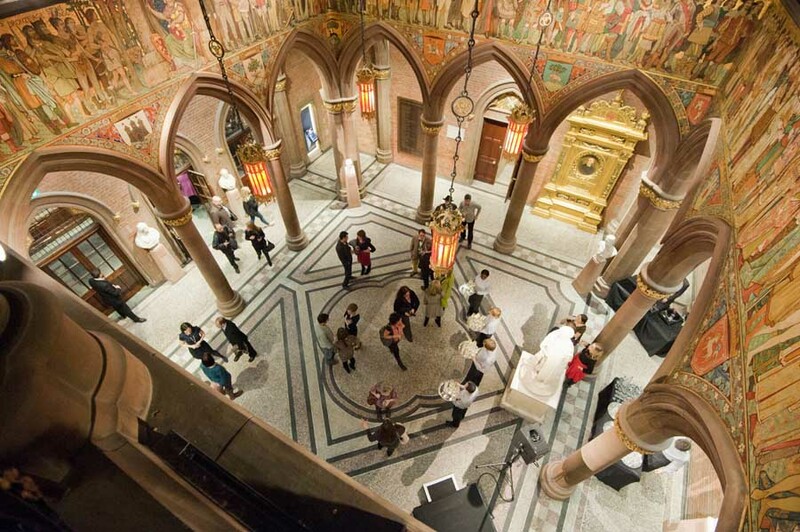 The Scottish National Portrait Gallery underwent a £17.6m restoration project that provided entirely new presentation of its world-famous collection. The project – the first major refurbishment in the Gallery’s 120-year history – has restored much of the architect’s original vision, opening up previously inaccessible parts of the building and increasing the public space by more than 60 percent. It has also added a range of new facilities that will utterly transform visitors’ experience of the Gallery. Entry to the new Portrait Gallery will be completely free. 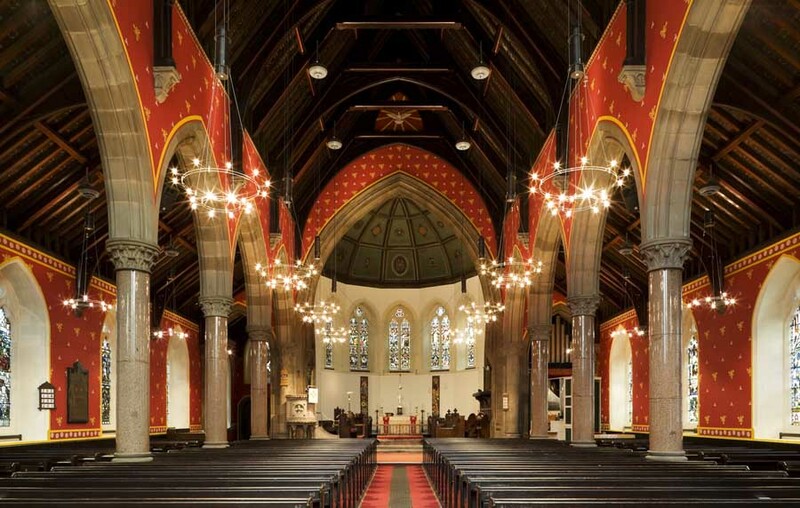 The redecoration and relighting has “Transformed one of Edinburgh’s least interesting churches into one of its most beautiful”. The bold use of red with a stencilled decoration of golden keys in a diamond pattern, with a ‘daisy chain’ border, has given back the richness the building needed. The Balmoral is one of Edinburgh’s few 5-star Hotels and one of the most famous Scottish Hotels. Three Grade A listed New Town Terrace houses combined – the transformation is subtle, with hints of modernity in the bright red spiral of seating/sculpture on the right and swirling fruit bowl on the left. 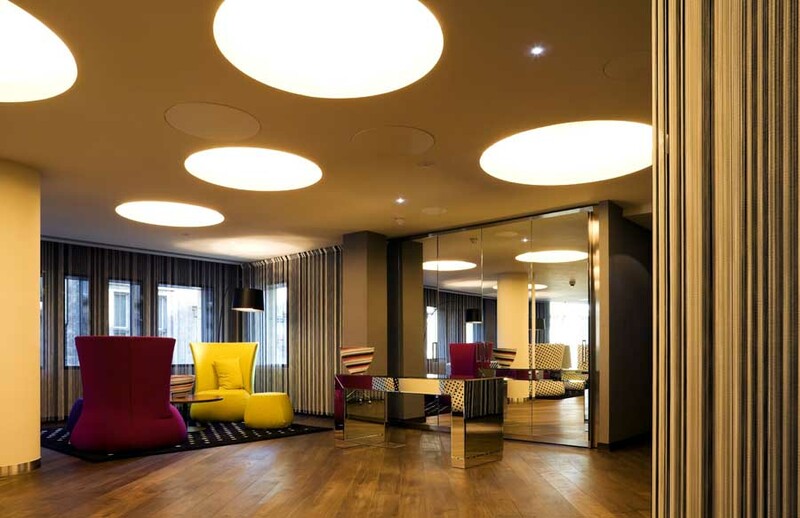 With lighting being Jonathan Speirs & Associates forte, the Bonham has an invigorating interior. 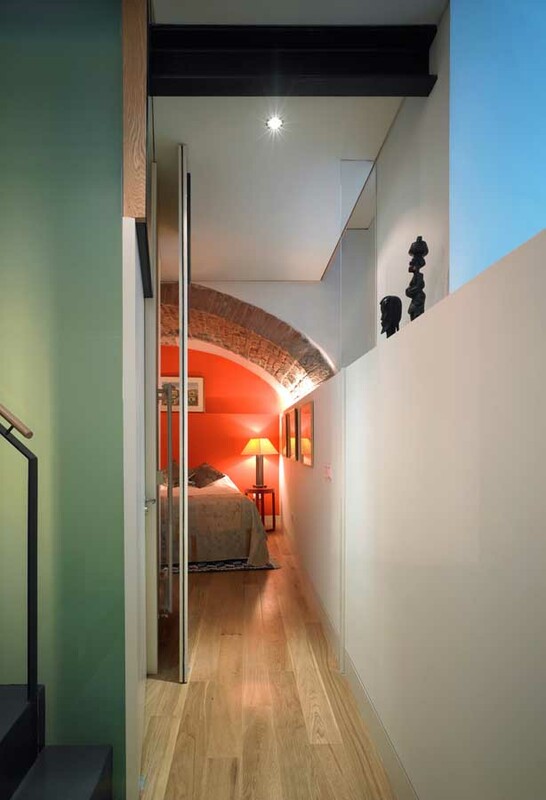 This is a conversion of a listed mews workshop and disconnected vault below into an intricate maisonette with living spaces on the ground floor and two bedrooms below. A series of deep cuts have been made into the vault to gain access and allow light and air deep into the subterranean spaces. At ground level stepped platforms connect half levels, with translucent glazed slots between them, articulating the open plan spaces. Dance Base is a building primarily about spaces. Thus the lack of overt entry from the Grassmarket is suitable. You enter the National Centre for Dance and walk up a traditional pend, then turn right to the stairs. At First Floor you reach an unpretentious reception: from here most visitors are again drawn to the light, coming here from the Principal Studio. Each space has different proportions, but also levels of light. 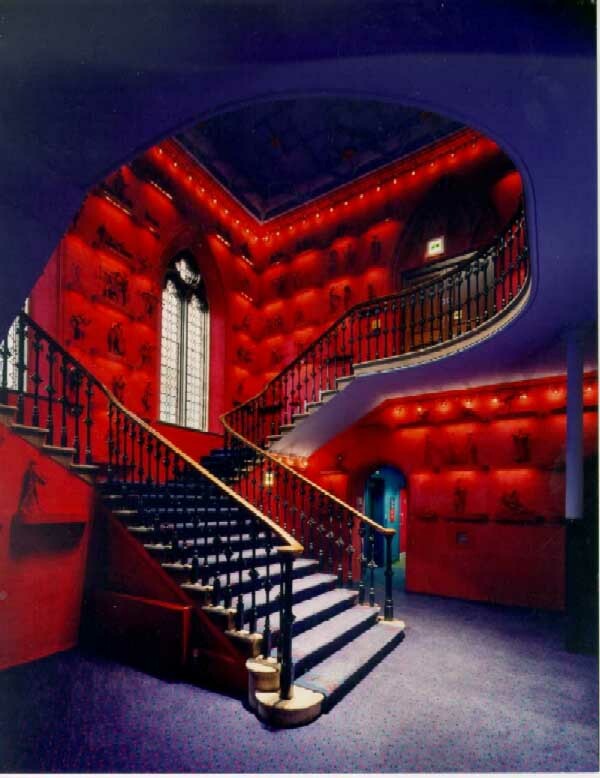 Richly-coloured scheme amalgamating history and creativity in a famous landmark assembly hall, now home to the Edinburgh International Festival offices. The colourful interiors of the Hub seem initially attractive but do not always repay closer look. The project does however take risks and challenges the status quo with its vivid contrasts of colour and approach to conservation. The architects for the Church restoration were Simpson & Brown. 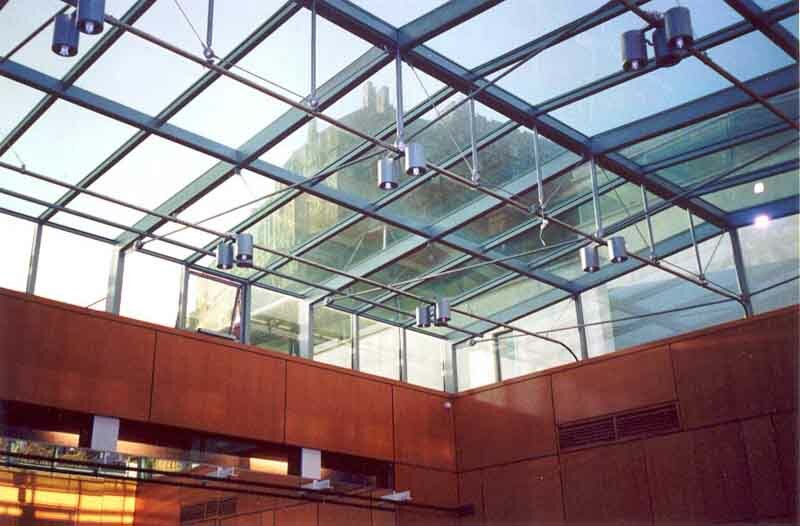 The key to the rescue of the Mansfield Traquair Centre was the creation of substantial office space in the under-building. This gave the building a viable use. Two floors of offices were fitted into the space beneath the nave with ancillary accommodation below the chancel and in the attached clergy house. 129 rooms, seven suites, the bar, restaurant and conference facilities. The Hotel uses the bar, staircase and restaurant to connect the outside of the urban block with the courtyard deep in the heart, accessed by closes. This allows one of the key characteristics of the Old Town – the narrow closes and courts – to be reinvigorated with active uses. Moray Place’s kitchen is slightly raised and visually connected to the living space, but separated by a parapet wall. The barrel vault is expressed externally with steelwork and water chains. Oloroso’s entry is at street level, and is pretty discreet. Unfortunately they have to share their communal areas – lift, lobbies, stairs – with other tenants, currently offices. Once on the third level you rise up into the space through stairs that allow glancing views up to the restaurant and bar. Bolder colours would be welcome here rather than the all-over cream. 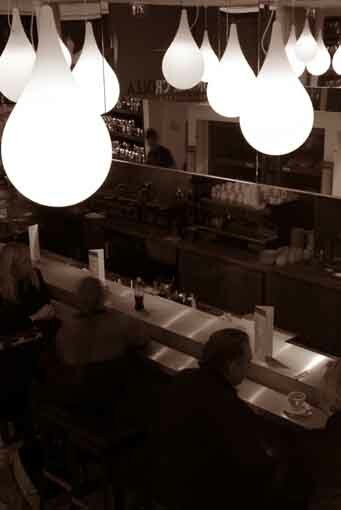 The centrepiece of Oloroso is the bar, complete with hidden rooflight that brings in subtle light by day. Conversion of five-storey Georgian townhouse, for Montpelier nightclub: Edinburgh New Town bar / restaurant. This is a boutique hotel bar and restaurant. It was created by connecting two New Town properties. The two properties, the lower ground floor of a Georgian tenement and a three-storey warehouse, have been tied together through the insertion of a glazed roof over the narrow, separating courtyard. The hotel reception, bar and restaurant are all located on the lower ground, covering the whole site from front street to the basement of the warehouse at the rear lane. Inter-war architecture competition win – monolithic, symmetrical and sober from the front, romantically irregular from the South – note the curved glass stair towers reminiscent of the Fagus Shoe Last Factory. This building was formerly the Scottish Office, the UK government’s administrative offices in Scotland, and still used for government administration. The St Andrew’s House frontage is influenced by Grey Wornum’s Art Deco verticality RIBA HQ in London. 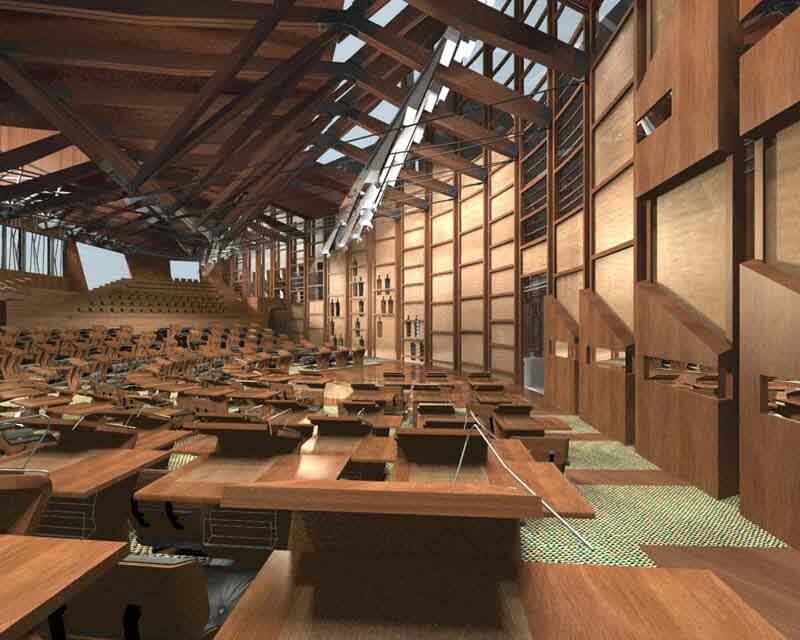 Sir David Steel, Presiding Officer of the Scottish Parliament claimed “This building is the most important to be built in Scotland for 300 years“: although this no doubt refers back to the Act of Union in 1707, the point has architectural validity too. 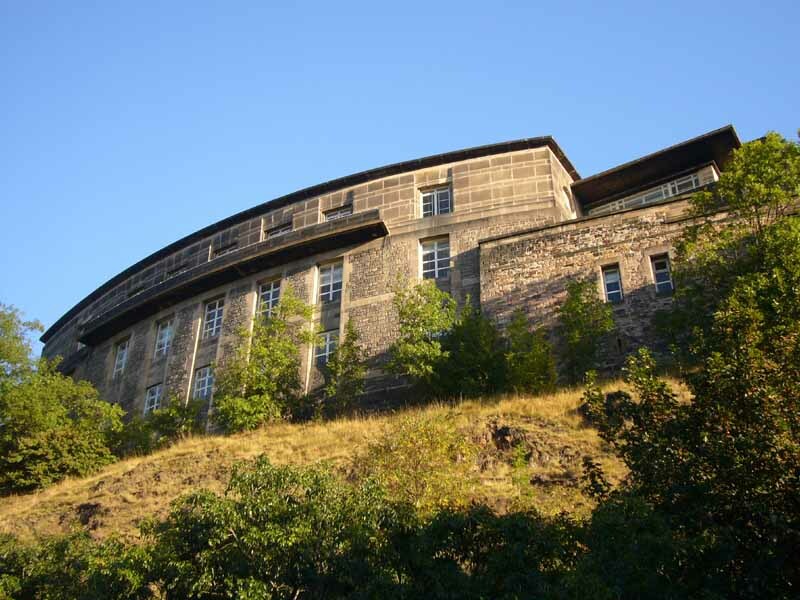 Influences for the Scottish Parliament building reported include upturned boats at Holy Island, flower paintings & Glasgow School of Art by Charles Rennie Mackintosh. Architect influences are noted by Gillespie as Aalto, Kahn, Pietila, Coderch, Lapena & Torres, Viaplana & Pinon. Louis Kahn was a strong influence on architect Enric Miralles, the Kimbell Museum’s vaults specifically for the three tapering vaults of the Debating Chamber ground floor.